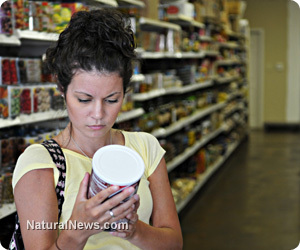 (NaturalNews) Since its original inception back in the '90s, the National Organic Program (NOP) has paved the way for food that is free of artificial ingredients, genetically modified organisms (GMOs) and synthetic additives to flourish in the American marketplace under a common organic labeling standard. But this standard is now under attack, as new guidelines issued by the U.S. Department of Agriculture (USDA) strip key protections from the program that are meant to ensure that prohibited substances do not slip through the cracks. While organic certification requirements have long allowed for certain prohibited substances to be used in organic food products when viable alternatives are unavailable, these exemptions have traditionally been bound by a "sunset process" that requires all prohibited substances to be removed after five years. The intent of this sunset process, of course, has always been to encourage manufacturers to seek out acceptable natural alternatives as quickly as possible so as to maintain the integrity of the organic program. But the USDA recently issued a new ruling that does away with the mandatory expiration timeline for substances bound by the sunset process and instead allows them to be voted on for extended approval. As explained by Waking Times, this change puts an enormous burden on the public to keep a close eye on which substances are given sunset exemptions and when they are set to expire. In other words, it will be up to health-conscious individuals and consumer advocacy groups to convince members of the National Organic Standards Board (NOSB) to remove sunset exemptions from the list of approved substances. "Under the new policy, an exempt material could be permitted indefinitely unless a two-thirds majority of the NOSB votes to remove an exempted (synthetic) substance from the list," writes Natasha Longo for Waking Times. "The new policy allows USDA to relist exemptions for synthetic materials without the recommendation of the independent board and outside of public view, as required by current law." This is a far cry from the previous NOP requirements which mandated that all sunset exemptions be automatically removed from the permitted substance list after five years, except in the case that a two-thirds "decisive" majority from the NOSB, backed by public review, decides to keep a substance on the list for a longer period of time. Now, the NOSB will actually have to achieve a two-thirds vote just to remove a substance from the list. To put this all into perspective, there has been much debate lately about whether or not carrageenan, a synthetic thickening substance made from seaweed, should be allowed in products labeled as organic. The USDA decided earlier this year to renew approval for the stabilizing agent in organic food products after conducing its own review of the scientific literature and voting on the issue in accordance with the Organic Food Products Act of 1990. But under the new rule, approval for carrageenan would have automatically been renewed apart from the board specifically voting against it. "The USDA's decision minimizes all incentives for creating organic, natural alternative ingredients and lowers the standard for what consumers can expect behind the organic label," wrote Beyond Pesticides, the Consumers Union, the Center for Food Safety (CFS) and Food and Water Watch (FWW) in a recent joint statement about the ruling. "Allowing the USDA to automatically relist materials without the recommendation of the NOSB erodes the Board's legal authority over materials decisions, a key to consumer trust in the organic label ... Potentially allowing an indefinite listing of non-natural ingredients and requiring a super-majority vote to retire a substance after five years undermines the spirit of the law for how materials head into 'sunset' or retirement."